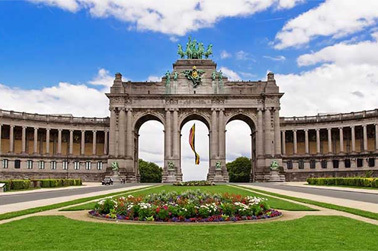 Brussels is a city for aesthetes, romantics and gourmets. The full taste of local life can be found in the city's restaurants. Even the most "average" restaurants of Brussels have an extremely high level of cooking art. Belgians are devoted to the cooking process, but at the same time they exquisitely and subtly decorate the dishes in a French way. One of the best establishments in the area of "Womb of Brussels" (near the central square) is «Armes de Bruxelles», located on the Rue des Bouchers 13. This cozy restaurant is famous for its middle-class dishes from fish and seafood; you can enjoy cooked sea snails in fish broth, local mussels in white wine and king crabs in various sauces. The most "crowned" restaurant in Brussels is marked with two Michelin stars. «Comme Chez Soi» is located on the Place Rouppe 23. The name of the restaurant is translated "Just like home," and it is indeed the concept of institution. But you can hardly find have a gourmet dinner at home with exquisite dishes of lobster, crabs and snails. In addition, like many other restaurants of Brussels, this place is very popular among gourmets, so you’d better order the table a month ahead. 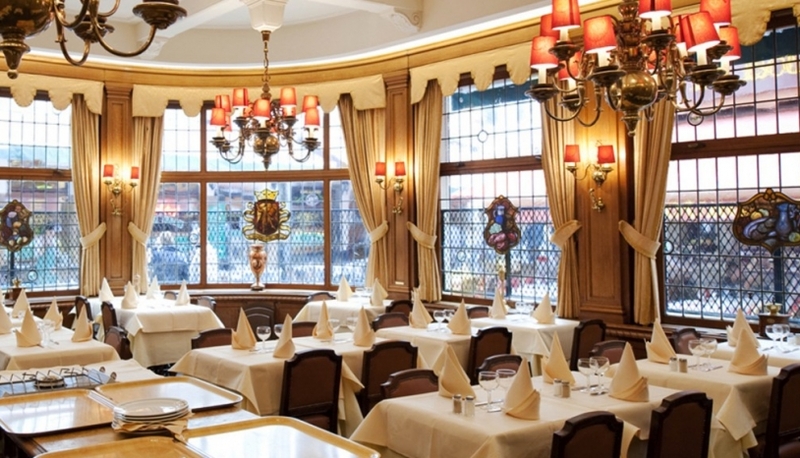 It’s much easier to get to the restaurant «Bruneau», located on the Avenue Broustin 73-75. The chef of this place aims to diversify the traditional recipes and offers visitors the vibrant, creative dishes. Products for dishes are selected with care: caviar is delivered directly from Iran, truffles from Piedmont, because the freshness of the product is the main guarantee of quality. Another restaurant, shining brightly with two Michelin stars is «Sea Grill», located at the Radisson SAS Royal. This place is famous for its intricate dishes. Just listen how the dish is named: Mediterranean grouper served with content of sea urchin and mussels. All dishes are very interesting, delicious and, of course, expensive. Fans of "extreme" dinners certainly will like the restaurant «Dinner in the Sky». This establishment is included in the list of the most unusual restaurants in the world. The bottom line is that the visitors of the restaurant with the cooks, waiters and entertainers a raised by a lift to a height of 50 meters, where satisfied customers take their meals. «Dinner in the Sky» is located near the famous attractions of Brussels.